“But seek first the kingdom of God and his righteousness, and all these things will be added to you”. In December 2011, I graduated from The Strom Bible Institute. I knew God was calling me to serve Him full-time at Camp Brittney and The Strom Bible Institute. Today I am in charge of the Ministry Department at the Institute. My job is to help the students with short-term mission trips every year and to guide the students daily with the ministries they are serving in with their local churches. 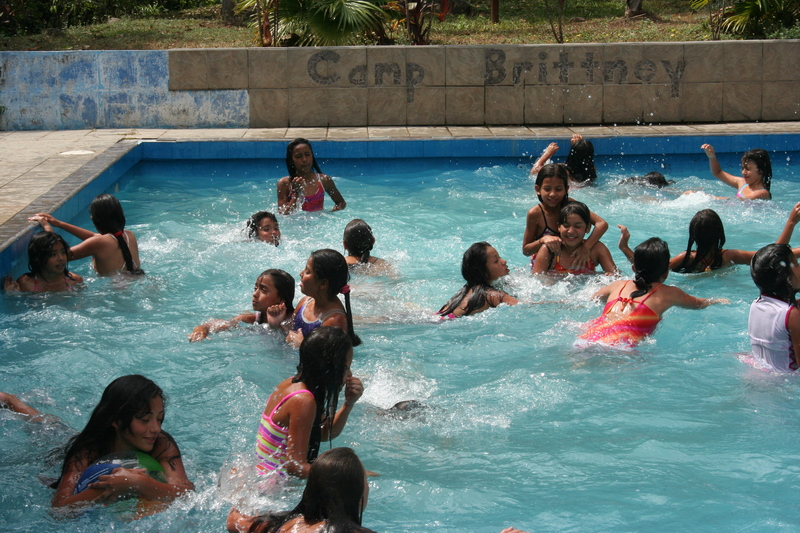 During January and July, my wife and I help with Camp Brittney’s week-long camps as well. We also are in charge of a Youth Bible Club at Camp Brittney. Every weekend we get together with these teens to preach the gospel and disciple them. We are grateful to the Lord because even though we are sinners He allows us to be a part of His wonderful work! I was born in Argentina and at the age of 17 I accepted Christ as my only and personal Savior! Then by the grace of God, I met Romina who today is my wife. Together we started to help in our local church. About six years later we were called to prepare ourselves at a Bible Institute, so we decided to attend Word of Life Bible Institute in Argentina to study the Word of God. 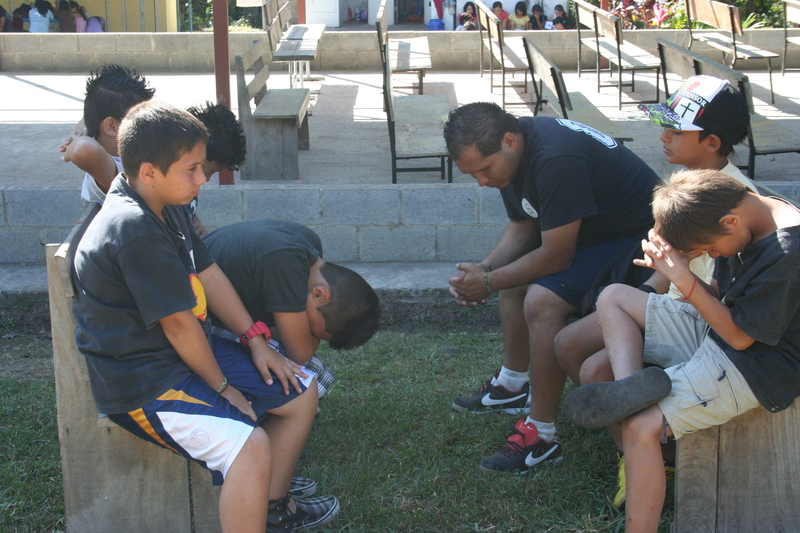 At that time we were challenged to pray for a country. 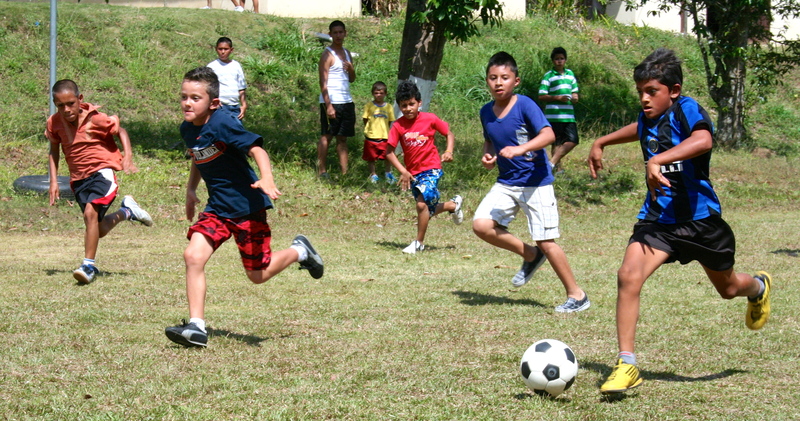 We chose Costa Rica and since then we have continued praying for this beautiful place! 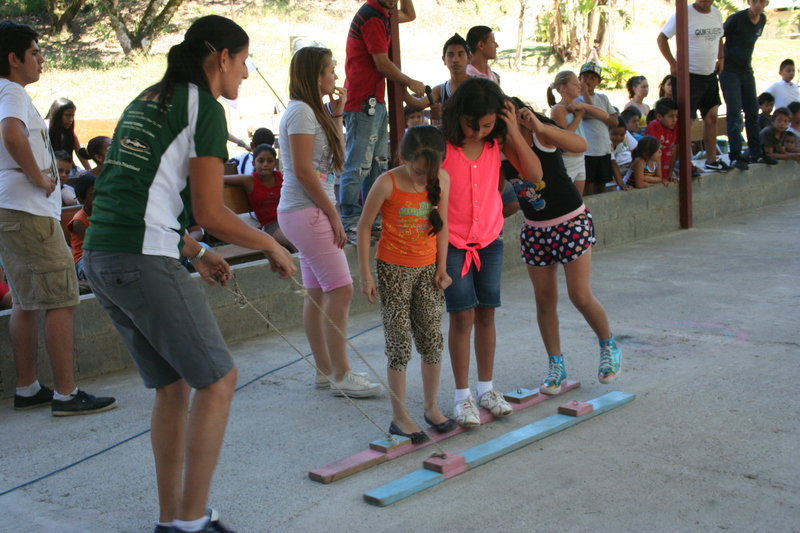 God placed a great burden in my heart and so I traveled to Costa Rica in July 2011 to see the Camp Brittney ministry and participate in their winter camp. 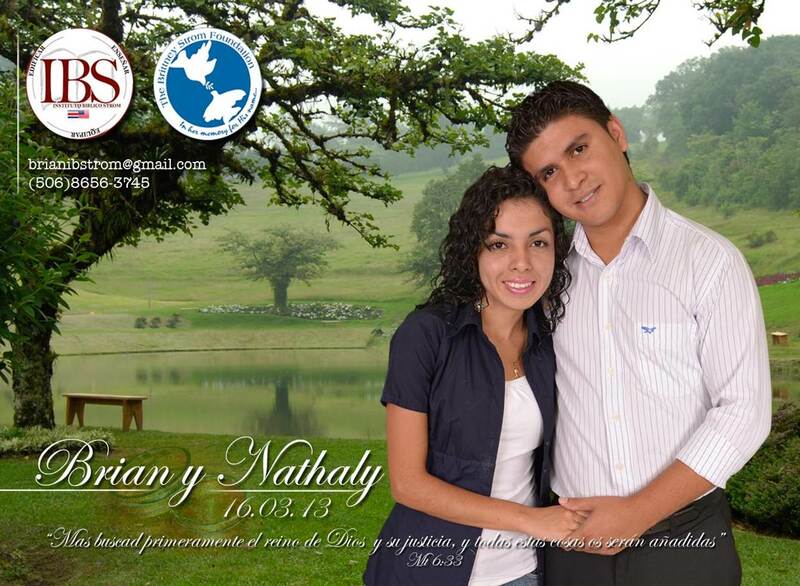 At that time I saw clearly God´s confirmation that this was the place He had prepared for my family and me to serve Him. 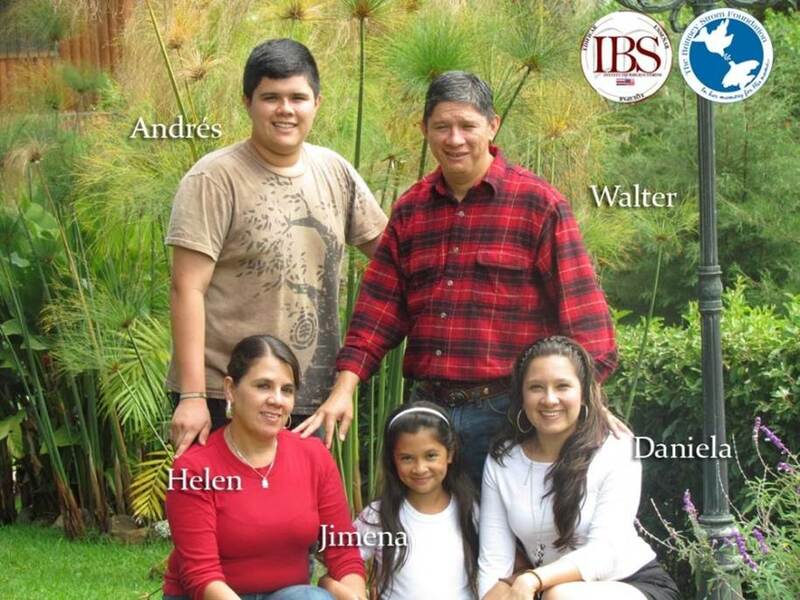 Today, thanks to God´s grace and mercy we are serving as a family in this ministry; teaching and counseling at The Strom Bible Institute and taking care of maintenance at the property during camp seasons. 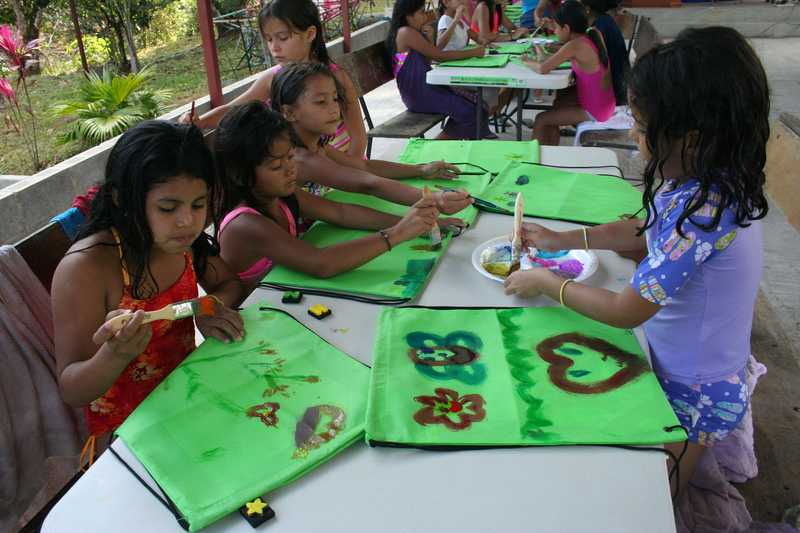 ·That the Lord would provide the financial support needed to continue our ministry. 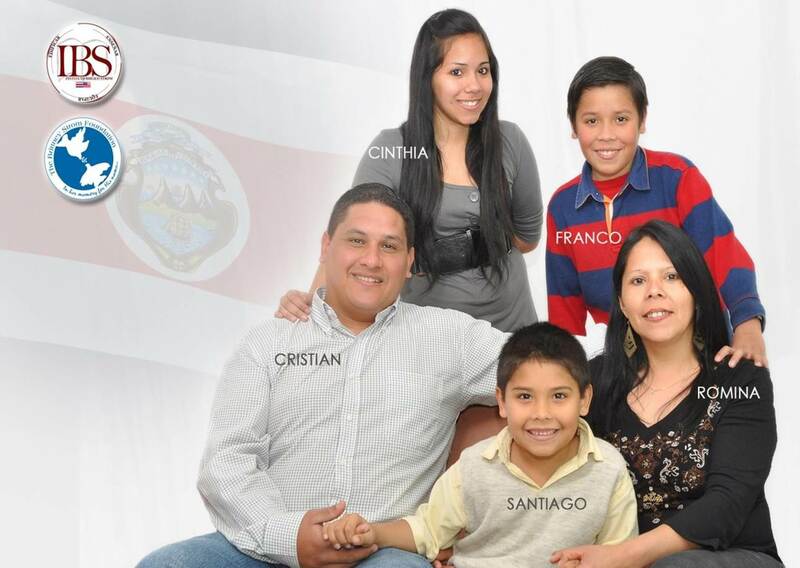 ·That the Lord would provide a way for us to visit our family in Argentina. “Let us know; let us press on to know the Lord; his going out is sure as the dawn; he will come to us as the showers, as the spring rains that water the earth”. 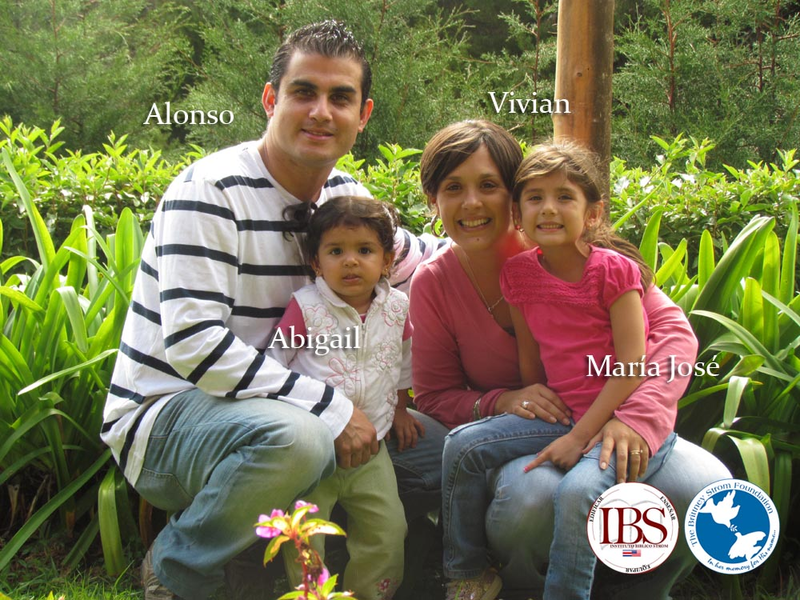 On December 13, 2005, we returned to Costa Rica after having attended the Word of Life Bible Institute in Argentina for three years to begin serving the Lord with Word of Life Costa Rica. After two years with WOL, the Lord led us into a conversation with Pastor Walter, our pastor and Camp Brittney’s Director in Costa Rica. He challenged us to assume a new ministry, to start the Strom Bible Institute at Camp Brittney. After several months of praying and asking for advice, we left WOL and began serving on March 3, 2008 as the first full-time missionaries with Camp Brittney. Since 2008 I have been serving the Lord as the Strom Bible Institute Director. Through this beautiful ministry I have the opportunity to work alongside a great staff of missionaries and to lead young students through their preparation for the ministry. I also serve as Associate Pastor at El Lugar Missionary church in San José. We praise the Lord for the grace that allows us to serve Him in the expansion of His kingdom. 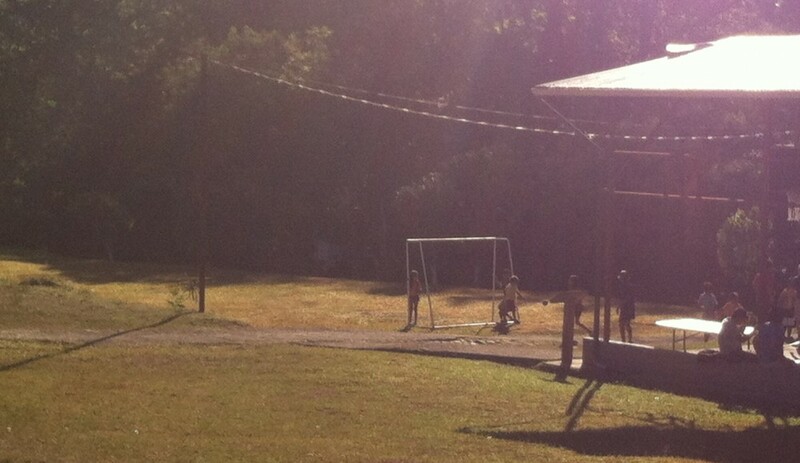 For me, Camp Brittney is a very special place. 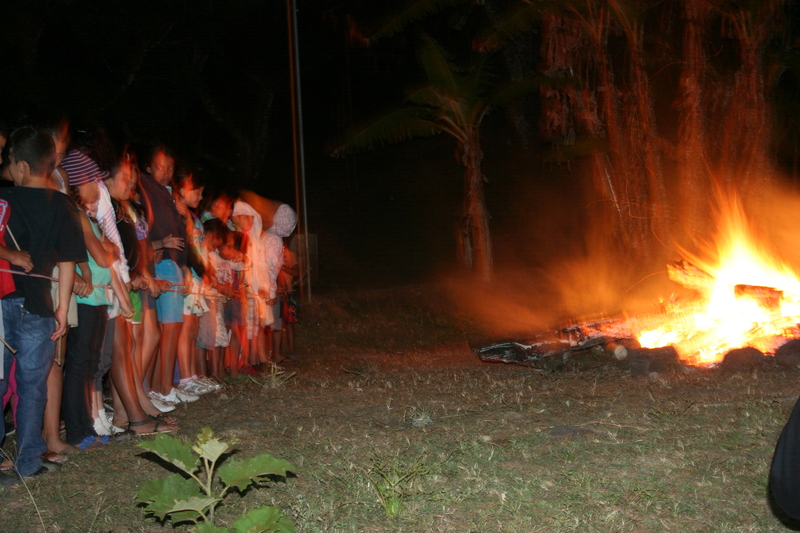 When Kenneth Bledsoe shared with me the dream of buying property in Costa Rica, I knew immediately that this was an answer to my prayers; to have this camp in which we could take many youth and have a special time with God. So I told Kenneth that I would be prepared to help with this project. Today upon seeing what God has done in this place, I know that it was a good decision, and I know that we are anticipating beautiful things that God will do with many children and youth. I work with the administration of the property and it is a privilege for me to dedicate part of my time to this marvelous place. 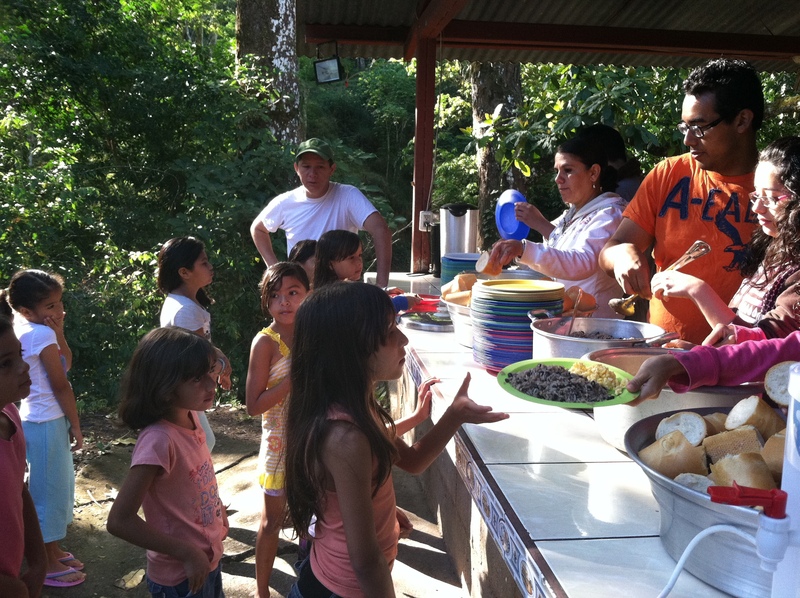 The Brittney Strom Foundation feels fortunate to have Pastor Chino handling the administration of Camp Brittney in Costa Rica. Pastor Chino was pastor of the Bledsoe family when they lived in Costa Rica 11 years ago and has remained a close friend ever since. Although Pastor Chino is supported by his church, El Lugar, we would like to encourage and thank him for the time we know he does not have but gives to Camp Brittney! 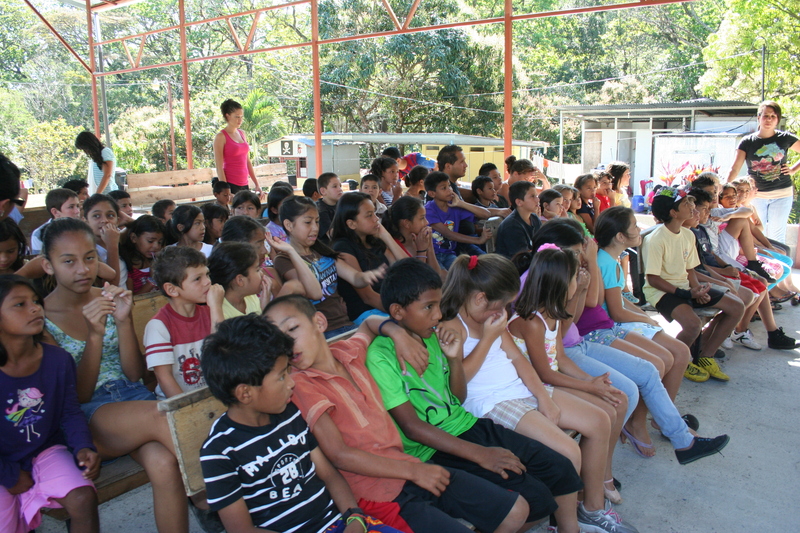 The Brittney Strom Foundation is excited about the change that is happening in the ministries we sponsor. Please be in prayer for the foundation and the upcoming events. Thank you for your prayer support that we feel each day. If you would like to receive more information about The Brittney Strom Foundation and our ministries, please visit www.campbrittney.org or email laurenblack@campbrittney.org. 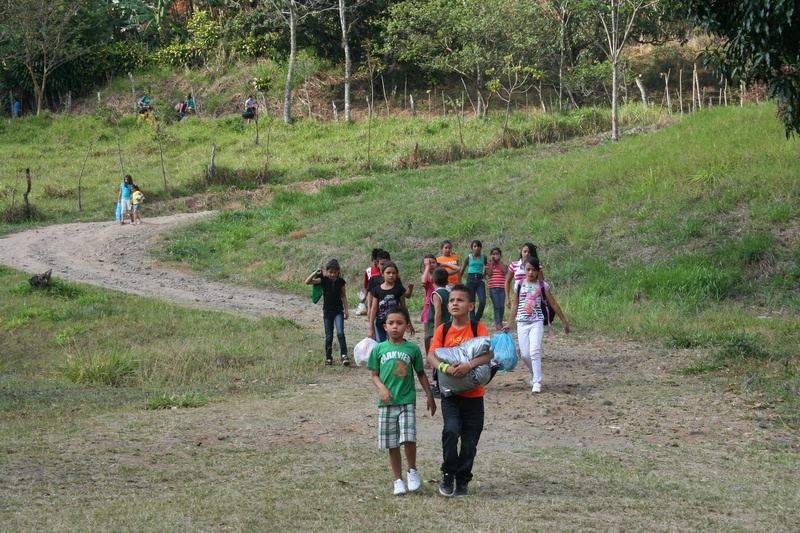 If you would like to sponsor a child for the week, it will be $42.50 per child. They will receive three meals a day, beds to sleep on, and most importantly hear about God’s love. If you would like to donate to sponsor a child you can send a donation throughwww.campbrittney.org located under the donate or by mail to 3037 Old Charleston Road Saluda, SC 29138. Please label donation Child sponsor for camp. We broke ground on the Mission House in January 2007. First I’m disappointed because we still are not finished! When I start something I want it finished and I want it finished yesterday, I suppose that’s just the builder in me. I also look back with excitement because we are almost finished and we are still debt free! If there is one thing I’ve learned in life thus far is that it’s not about ME and I’m glad it isn’t. We are about 90 % complete on the mission house. We still have four bathrooms to complete, the kitchen/dining and chapel area. We are, however, using the five completed rooms but really need this project finished. As always we need your help. We are about $20,000.00 short of finishing the house. Would you consider helping with this project? 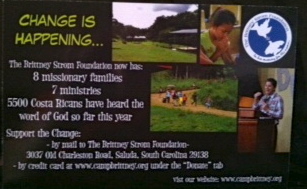 Visit http://www.campbrittney.org to donate.